Floor Show Iris, Fairfield Glade. April 29, 2009. It’s nice to get up in the morning here in the Glade. The sliding glass door to the deck from our dining room looks out on our long flower bed and gives us a perfect view of some of our iris. Yesterday morning we were greeted by this iris, Floor Show. Although it has been in the garden for a couple of years this is the first year that it has bloomed. I would say that the wait was worth it. Nelson's Dockyard, Antigua. September 12, 2001. This is my post for Watery Wednesday, a weekly meme created and hosted by 2sweeetnsaxy of Eyes, Mind, Heart. To see more of our beautiful watery world, or to join and post your own pictures to share, click HERE. 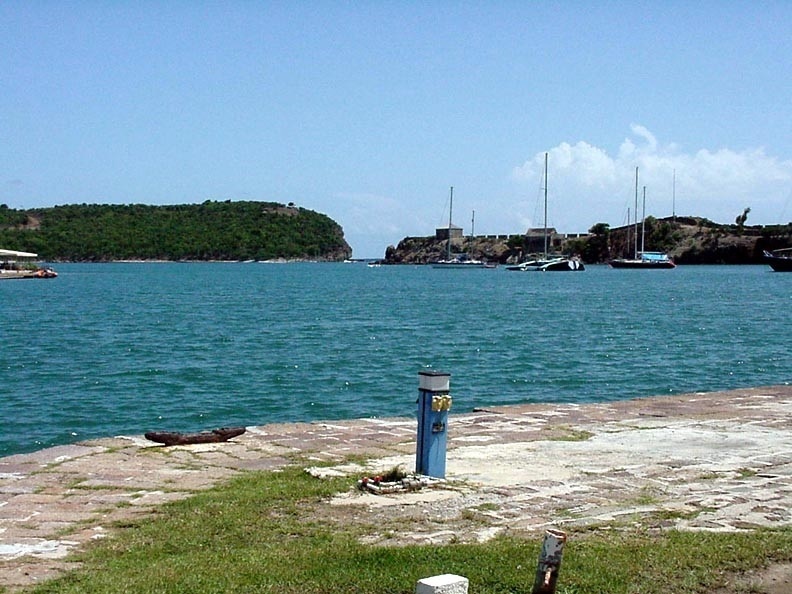 The picture above was taken at Nelson’s Dockyard on the island of Antigua. Nelson’s Dockyard is a restored Georgian yard named in honor of the British admiral Lord Horatio Nelson. The yard was originally called “His Majesty’s Antigua Naval Yard”. Construction of the naval yard began in 1725 and was the headquarters of the British Leeward Islands fleet during the late eighteenth and early to mid nineteenth centuries. This site was selected because the narrow mouth of the harbor which can be seen in the distance was easily defensible. The facility was closed and abandoned by the British Navy in 1889. Although Nelson served in the British Navy in the Leeward Islands from 1784 until 1787, his name did not become associated with the naval yard until a major restoration project began in the 1950s. Honey Glazed Iris, Fairfield Glade. April 27, 2009. This is my post for the My World meme. Last week there were over 120 people sharing their worlds. To see more of our world or to join and share your part of the world, click HERE. My world became much prettier yesterday, thanks to the beauty in the picture above. 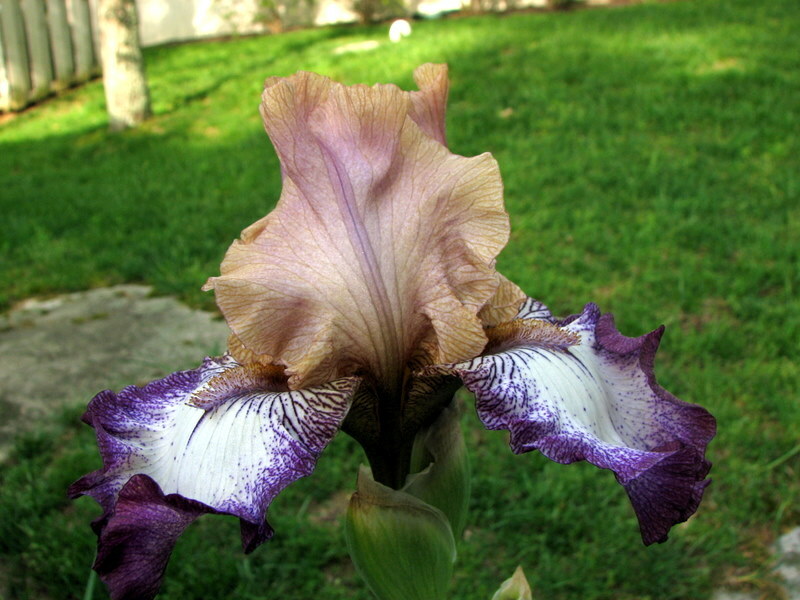 This iris — Honey Glazed — is the first iris to bloom in our yard this year. Last week when we went to my parent’s house near Nashville we admired the iris they had blooming and we it would be at least a week before ours started blooming. I’m glad to say that we didn’t have to wait quite that long. 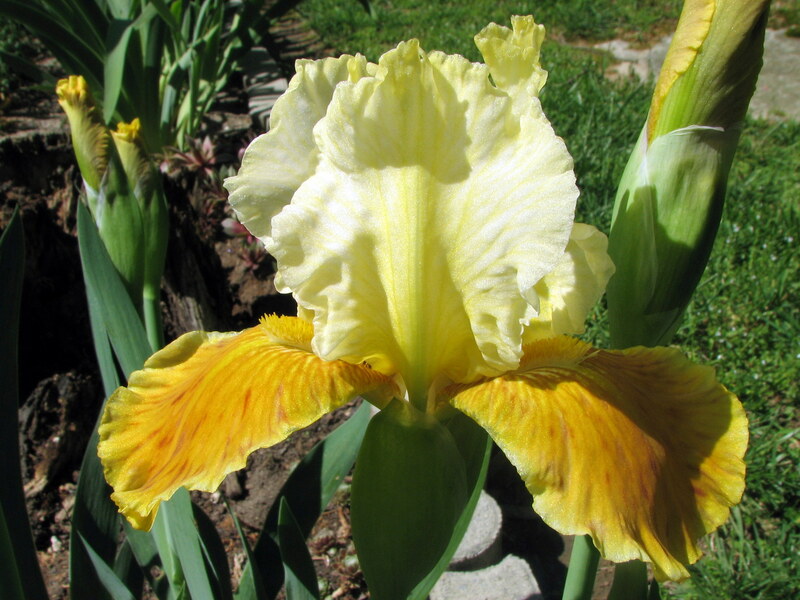 We’re now looking forward to other iris to follow this one. 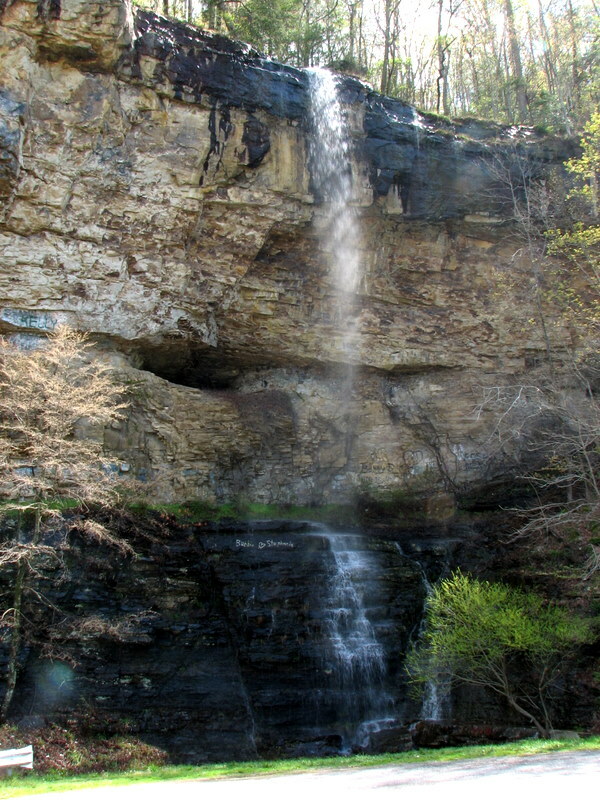 Possum Falls, Dunlap, Tennessee. April 21, 2009. In my previous post I mentioned a nice surprise that Betsy and I encountered while driving on the interstate. Today I would like to share a pleasant surprise we encountered on a back road. We came back from Texas on Monday and Tuesday, April 20 and 21. We got as far as Fort Payne, Alabama Monday night and, since we had to go near Fall Creek Falls State Park (our special place) on April 21 in order to get home, we decided to stop by the park on the way. So we asked our GPS to take us by the shortest route (which usually means back roads) and off we went. We were going up the Escarpment when Betsy called out that she had seen a waterfall along the road. So we turned around and went back to a pull-off where we found the waterfall shown in the picture above. Research after we got home told us that this is Possum Falls, an 80-foot fall near the road. This was a waterfall that we hadn’t known about until we stumbled upon it. An added bonus was two more waterfalls in the next couple of miles on this back road. Lake Nickajack, Tennessee. April 16, 2009. This is my post for the Scenic Sunday meme, which shares beautiful scenes from around the world. To see more Scenic Sunday posts, or to join and post your own pictures, click HERE. Betsy and I like to travel on back roads whenever possible — we see much more of America that way. 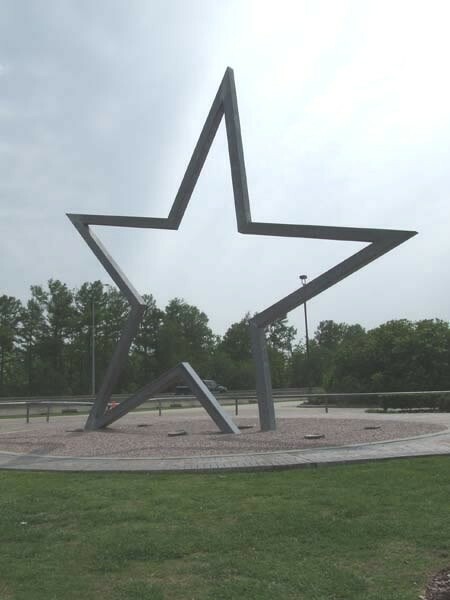 But our recent trip to Texas involved such long distances that we asked our GPS to take us by the quickest route, even though we knew that would mean mostly going on the interstate highways. We’ve stopped at some fairly nice rest areas on the interstate, although I would not call most of them scenic. But on this trip we got a real surprise — a rest area that is actually scenic. The picture above was taken at the rest area on I-24 near Chattanooga. The rest area is on an island in Lake Nickajack on the Tennessee River. 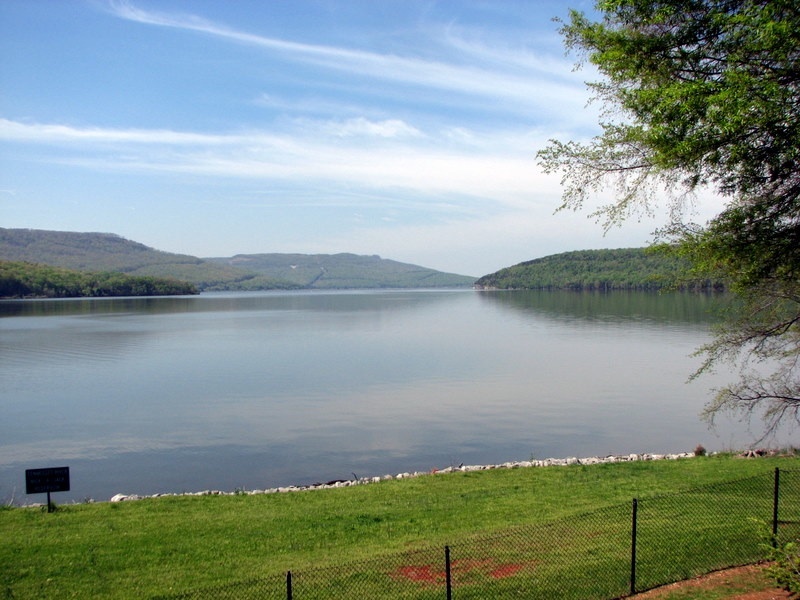 The lake is formed by Nickajack Dam, a hydroelectric dam near Jasper Tennessee. Nickajack Dam is one of nine dams on the Tennessee River owned and operated by the Tennessee Valley Authority. The name Nickajack comes from a Cherokee village which once stood just upstream from the dam site. Yesterday Betsy and I went to Hendersonville to check on my parents. I’m happy to say that they both seemed to be in good health and good spirits. While we were at their house we noticed that all their tulips are gone and that they now have iris in bloom. Our tulips are definitely past their prime, but it will be a week or more before we have any iris. 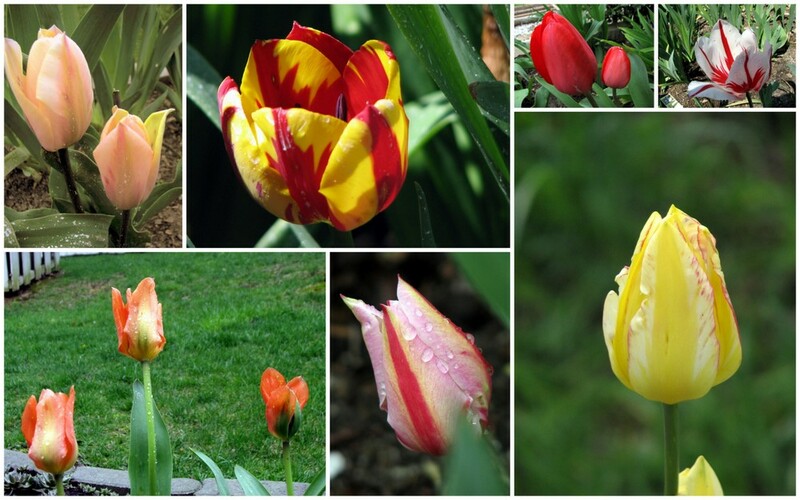 We were fortunate enough to have several varieties of tulips bloom this year. The collage above shows some of the beauties we’ve enjoyed this spring. The collage above can be enlarged if you so desire. 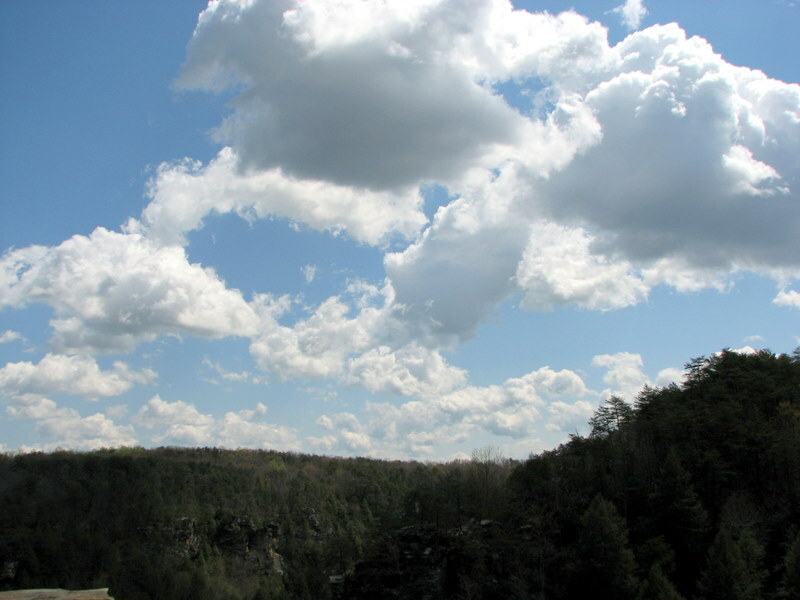 Clouds over Cane Creek Gorge. April 21, 2009. This is my post for Skywatch Friday, a meme for sharing views of the sky from all over the world. Last week over 300 people shared their view of the sky. To see more, or to join, click HERE. The picture above was taken this past Tuesday at Fall Creek Falls State Park here in Tennessee. The waterfalls are usually the main attraction of this park. We did enjoy the waterfalls, but the day was bright and sunny with many clouds floating in the blue sky. This picture was taken at the Fall Creek Falls Overlook, but I was looking across Cane Creek Gorge. 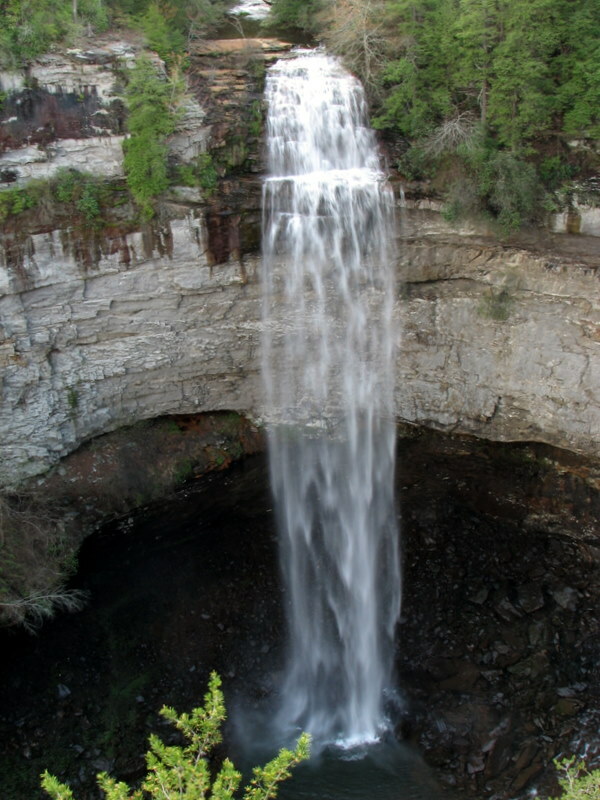 Cane Creek Gorge is about 15 miles long and is sometimes referred to as Tennessee’s Grand Canyon. It is very impressive, but on this day so was the sky above it. Damage from the storm. April 18, 2009. I mentioned in my last post that we didn’t get to see our granddaughters play softball because of the Texas weather wouldn’t cooperate. We knew before we got to Houston that the outlook wasn’t very favorable, but we weren’t prepared for Texas weather. It rained most of the day on Saturday. But in the afternoon the wind picked up and the rain started blowing horizontally. There was no warning from the Weather Service, but I have rarely seen such rain. Seabrook, Texas, (where we were) got about seven inches of rain in a little over an hour. Streets were flooded and I thought I would have to convert our car into a boat. And then there was the wind! The picture above shows the backyard of our son after the storm. 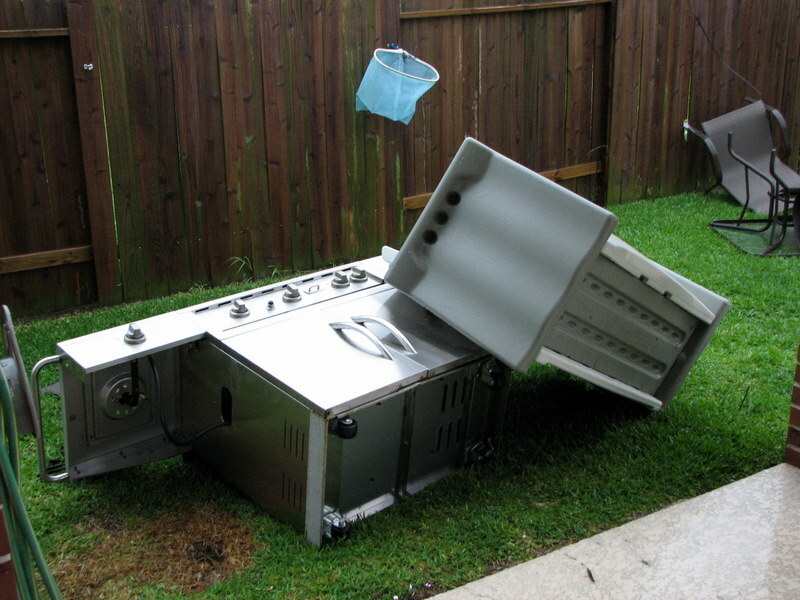 That heavy propane grill was blown over — it took two of us to put it back. If you look carefully at the picture above (it can be enlarged), you’ll see the leg of a chair that went through their fence. It was later reported that a tornado touched down a couple of miles from their house — I’m glad we didn’t know about that at the time! All in all I now have new respect for the slogan ‘Don’t Mess with Texas’ — or at least the weather! Fall Creek Falls, Tennessee. April 21, 2009. This is my post for Watery Wednesday, a weekly meme created and hosted by 2sweetnsaxy of Eyes Mind Heart. To see more of our beautiful watery world, or to join and post your pictures to share, click HERE. As I mentioned in my last post, Betsy and I went to Texas over the weekend to see our granddaughters play softball. We didn’t see any softball games but we did see plenty of rain. So we had a very watery weekend. The picture above was taken yesterday (Tuesday) on our way home from Texas. This is one of our very favorite spots — Fall Creek Falls here in Tennessee. Since Tuesday was April 21, we just had to stop by to see these falls. Betsy and I went to Fall Creek Falls State Park on April 21, 2001. It was our fourth date, but the first on which we spent the whole day together. We went to see waterfalls (there are five in the park). Although that day was the beginning of our waterfall collection, the waterfalls were definitely only the second best thing about the day. The best thing about that day eight years ago was that I got to kiss Betsy for the first time. Texas Welcome Center. April 17, 2008. Betsy and I are leaving a little later this morning for Texas. We’re going down to see our (Betsy’s) two granddaughters play softball. They are both excellent athletes and have been playing softball for several years. We were in Texas last year, but neither girl had a game while we were there. They both have games scheduled for the coming weekend so we’re hoping the weather will cooperate so we can see them play. We’ll hopefully be back next Wednesday. I don’t think we’ll find any waterfalls on this trip, but if we get on some back roads you never can tell. I hope all of you have a great week. We’ll catch up with you when we get back.